Our producer-at-large Father Vince Kuna, C.S.C., a USC film-school grad, reviews the new true-crime procedural film Gosnell: The Trial of America’s Biggest Serial Killer, released Oct. 12, and the book that preceded it, Gosnell: The Untold Story of America’s Most Prolific Serial Killer — both were based on grand-jury testimony, news reports and trial transcripts. Married couple Phelim McAleer and Ann McElhinney produced the film Gosnell: The Trial of America’s Biggest Serial Killer, basing it on a book of a similar title. 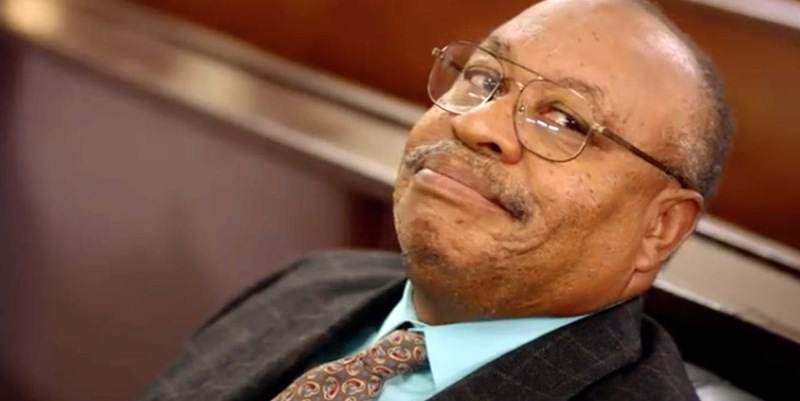 The style of filmmaking follows the book closely, a verbatim account of Philadelphia abortionist, Dr. Kermit Gosnell, convicted of grisly murders at his decrepit abortion clinic. The book and film rely on police reports, grand-jury testimony, the court stenographer and interviews with Gosnell himself (subsequent to his conviction). The account of Gosnell’s misdeeds left me speechless as the crimes were unraveled in 2010; the movie elicits the same response now. One illustration of the banality: Gosnell felt it appropriate to gleefully play classical music on his grand piano as Feds search his home, following a more recent search of his clinic which uncovered jarred baby parts from previous abortions. The verbatim approach follows a rarely utilized adaptation style most famously realized in The Passion of Joan of Arc. Directed by Carl Theodor Dreyer, this silent film’s source material was based entirely on St. Joan of Arc’s heresy trial transcript. The stark, silent format that 1920s technology demanded actually worked to the film’s advantage. The back-and-forth interrogation between the saint and her inquisitors needed no embellishment from a screenwriter. The story speaks for itself. An innocent young woman dies at the hands of an overweening religious tribunal. The viewer, then has the opportunity to respond to St. Joan’s witness or not. Philadelphia and federal law enforcement, city prosecutors, a journalist blogger and later, filmmakers, faced Gosnell’s brutal crimes in their verbatim form. They all played parts in not shirking from this evil, but instead exposed it in all its gruesome literalism and brutality. Most suspiciously absent from the expose was (ironically enough) the institution most entrusted with uncovering truth and exposing lies … the mainstream media. As documented in the film and book, one journalist blogger snapped a photo of any empty journalist gallery and posted it to social media. A lay Twitter campaign publicly shamed traditional media outlets into sending their journalists to cover the trial. I would posit blame at human knuckleheadedness and typical shying-away from admitting some conspiratorial media blackout, but recent events might prove me wrong. The book’s release immediately made it a bestseller, but the New York Times initially refused to place it on its list, despite empirical book sales demonstrating otherwise. Perhaps, more jaw-dropping was National Public Radio’s denial of the filmmakers’ attempt to pay for ad spots referring to Gosnell as an abortion doctor, even though the radio station’s own previous scant reporting on the case used the very same title. I prefer themes subtly massaged into the media I both consume and produce. After all, our own Savior spoke through parables, metaphors and good ole-fashioned stories. When confronted with evil so depraved, there’s something to be said about lifting high the Cross and exposing evil in all its lurid detail. Does one respond with facing evil head on and administering justice, or retreat back into a bed of lies, blanketed by sins of omission?